On December 14, 2018, Maurice Law’s Carly Fox presented on “The Role of Indigenous Laws in Specific Claims” at the Pacific Business and Law Institute Specific Claims Conference in Vancouver, BC. The presentation was based on the published work of Maurice Law Associate Alisa Lombard, former counsel at the Specific Claims Tribunal, entitled “Specific Claims Adjudication Processes and Cultural Diversity: Reconciling Societal Traditions,” Canadian Journal of Administrative Law & Practice; Scarborough Vol. 29, Iss. 2, (Jun 2016): 187-207. The basic premise of the proposition that reconciliation is a legal imperative is that reconciliation is a shared journey towards the desired outcome of the resolution of issues arising in relation between the State and Indigenous Peoples. In aspiration of this, the Specific Claims Tribunal may take cultural diversity into account in the development and applications of its rules of practice and procedure. Further, the Specific Claims Tribunal itself, being born out of a historic effort between the Assembly of First Nations and Government of Canada, may be seen as a practical and principled example of a means to advance reconciliation by resolution of challenges that have arisen in the Indigenous-State relationship. The Tribunal’s mandate therefore includes the shared goal of reconciliation by acting as a mechanism of reconciliation tasked with engaging novel legal issues – which rests on constitutional underpinnings, including but not limited to section 35 of the Constitution Act, 1982. Therefore, grounded in statutory powers, regulatory frameworks and the SCC, the Tribunal is mandated to facilitate reconciliation as a legal imperative that is cognizant of historic wrongs and contemporary obligations. As such, it must recognize that such a process involves the plurality of legal perspectives and orders. This gives rise to more refined legal imperative that the societal traditions of Indigenous peoples must be given space in the processes that affect Indigenous interests. Failure to do so would result in an incomplete evidence and affect outcomes. One example of this is oral history evidence. Challenges to the admission and consideration of oral history evidence are evident, but it is necessary to resolve this tension inherent in the reconciliation of legal traditions. On one hand colonial traditions emphasize written documentation and on the other Indigenous legal traditions are based in oral sources of knowledge keeping. The SCC decision in Tsilhqoti’in demonstrates the dilemma that this presents (paras 17 and 82).. In the absence or inclusion of oral history evidence the thrust of an evidentiary record in adjudicative proceedings can be radically altered. Therefore, the establishment of procedures allowing for the inclusion of accurate and complete reception of oral history evidence into adjudicative proceedings are critical. A process capable of receiving a complete evidentiary base contributes to a just resolution of claims and a just resolution of claims, both historical and contemporary, enables reconciliation. Cultural accommodation issues that must be considered in applying these rules. Give the Crown opportunity to raise any concerns, seek particulars, provide consent or object. Therefore, CMCs provide a built-in mechanism to ensure that adjudicators, their staff and all those involved in the process are better prepared by taking an active role in the case management process. Tribunal hearings are public (subject to confidentiality orders). Last minute requests or prayers, songs, dance or other expressions of tradition are often made at the hearing site. Counsel for the Claimant brings the Claimant community’s desire to the attention of the Registrar and the Registrar informs the Judge. From here, a discussion between Judge and Counsel ensues. This sort of request has never resulted in the SCT’s inability to accommodate. Infinite diversity prevails among Indigenous People. The Specific Claims Tribunal’s facilities provide a “cleansing room” in which medicines used in ceremony may be ignited due to a special vent. It is best to provide advance notice so that facilities can be prepared. The Tribunal is open to traditional expressions and may encourage them, provided the parties agree, where arrangements in advance have been made where necessary and they do not prevent the Tribunal from meeting its mandate. Hearings held in communities almost always begin with a welcome from the Claimant’s Chief, Elder or other designate. Expressions of gratitude are often shared in the language of the Nation, in English, or French. Oral history protocols, will-say and will- ask statements are exchanged and filed during the case management and produced well before the commencement of hearings. Counsel for either party should not be unduly adversarial in examination. 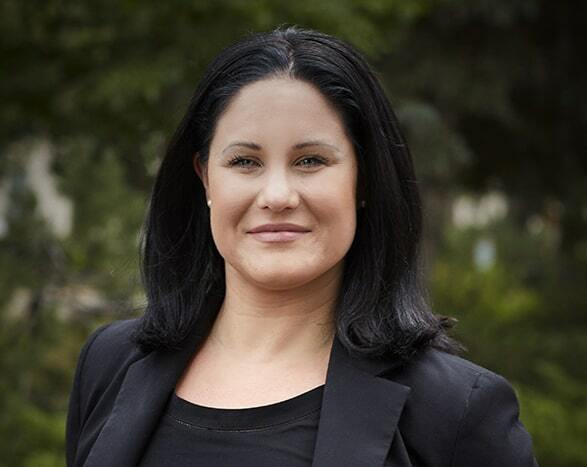 The Federal Court – Aboriginal Bar Liaison Committee Aboriginal Litigation Practice Guidelines provide guidance to the challenges inherent in receiving oral history testimony of adjudicative proceedings - such practice evolves from lessons learned over time. All witnesses have the option to swear, affirm or confirm the binding of their consciences to truth, however accomplished practically. This may include an eagle feather (however, a witness who wishes to use the eagle feather must bring their own). When hearings are held on reserve, parties, counsel, the Judge and Tribunal staff are often housed in close proximity. There may be proclivity of individuals in the community to want to discuss the case or spend time with Tribunal members and staff. Staff may assist in creating the appropriate distance between the adjudicator and other people where necessary, and should be intuitively proactive in doing so, without offending. They are intrigued and naturally seek to build relationships. Due regard is paid to the reality that it is the first-time community members see the decision maker in person. The Tribunal’s decision will not come from an unknown bureaucrat in Ottawa. Someone with authority in relation to the fate of a longstanding claim is physically present in the community – listening, engaging – and that, as is a welcome change. To maintain integrity of the adjudicative process, caution and care should be taken to ensure that decisions and orders employ terms and concepts that are legally accurate and appropriate. The legislative identity of Indigenous governance structures as they manifest today can only be understood with close attention to the legal and political backdrop. Further, Tribunals must take judicial notice where appropriate. With the dawn of recent SCC decisions, the reconciliation imperative and a general appetite for much needed change, the creation of more specialized and appropriate processes to adjudicate matters relation to reconciliation of Indigenous-State relations must be created.